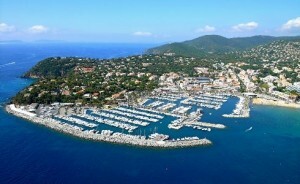 This part of the Riviera issues some of the international spotlight that can bear down on Cannes, Nice and Monaco but it has some beautiful coastal towns and villages offering a quieter and slightly more gentle pace of life. 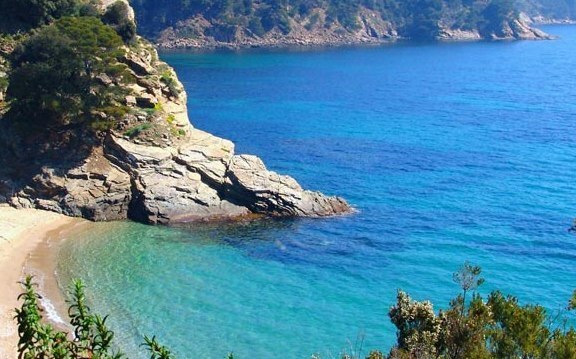 Start your holiday by dipping your toes in the sea before beginning your ride along the crest of the Massif des Maures. 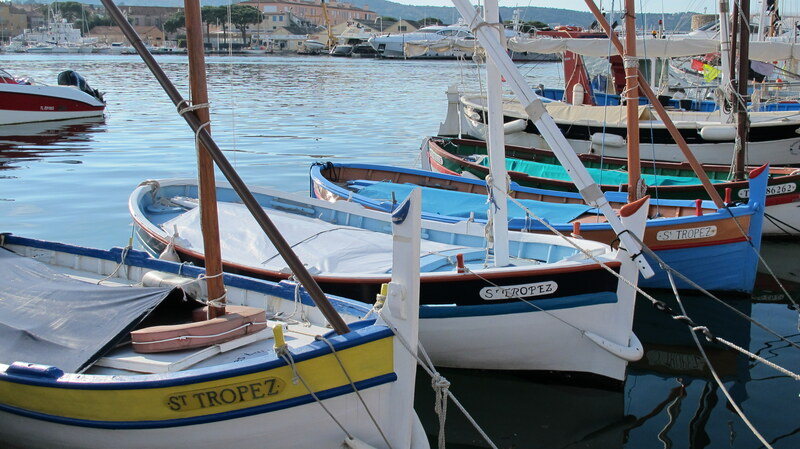 Then take an exhilarating rush down to the azure water of the Mediterranean before exploring the harbours and perching villages of this beautiful part of Provence. Unwind in a Bed by the Med. 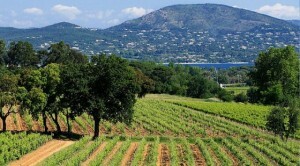 A gentle easy going tour of a beautiful stretch of the Provencal coast. Relatively short riding days allow ample time to explore the landscape, its flora and fauna, and the small towns and villages along your route. There are some gentle hills along the way but all give access to some fantastic locations - we even help you start the tour from a wonderful vantage point high above the sea and, that means more downhill riding for you. 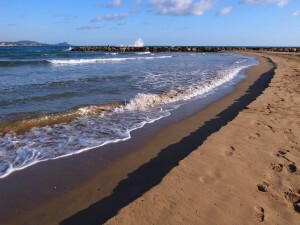 Should you wish, you will have the time and opportunity for a reinvigourating swim in the sea on every day. In case you seek more varied discovery, we have also planned for two non-cycling days too but, a great self-guided ride could always be taken instead. 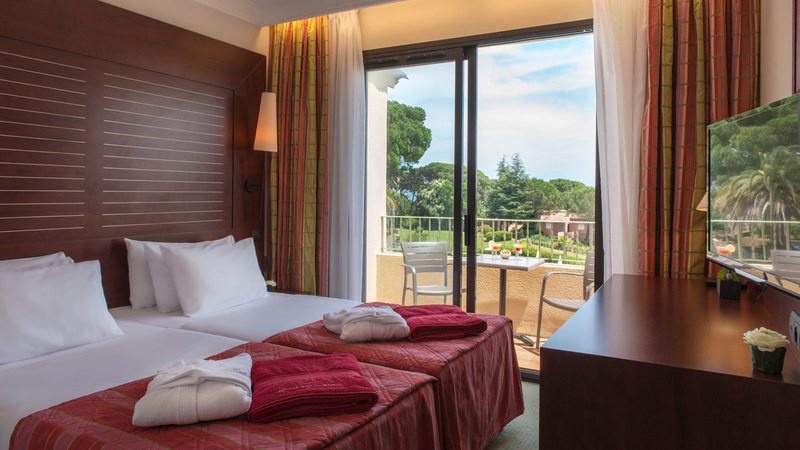 Arrive in Saint-Raphaël and book into your hotel in this delightful riviera town, just next door to Frejus with its Roman architectural heritage and, a great location to begin your tour of the Provence coast. A day of wonderful choices, there is a great opportunity to take a short boat ride over to the island of Port Cros for a half day exploration on foot of this beautiful tiny national park or, you could stay in the saddle for a self-guided ride over to Brégançon with its coastal vineyards, more remote beaches and former presidential ‘palace’. Alternatively, you could spend the whole day exploring Le Lavandou and relaxing on the beach. A short and gentle ride today but with plenty of temptations to linger along the coast, small harbours, marinas and beaches dot the coastline here. You even have the time to start and finish your ride with a dip in the sea. Cycle a mixture of dedicated routes, quiet lanes and a hidden part of the old coastal railway line. 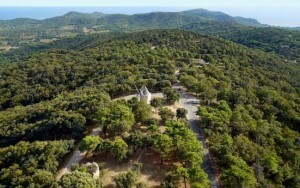 You finish the ride in La Croix Valmer, still below the Massif des Maures and, overlooking the Bay of Cavalaire-sur-Mer, one of the scenes of the allied landings in August 1944. Today’s ride starts with a brief turn inland to cross the peninsula on slightly more undulating (but hugely rewarding) lanes towards St Tropez. Along the route you will visit one of Provence’s classic perching villages at Ramatuelle, in a dense medieval core, tightly packed houses peer over cooling narrow lanes. Ride on to St Tropez, you will emerge from quiet back streets into an archetypal village square with an expanse of boule pistes and bordered by restaurants. More narrow streets will bring you through to the old fishing harbour now usually punctuated by gleaming yachts. 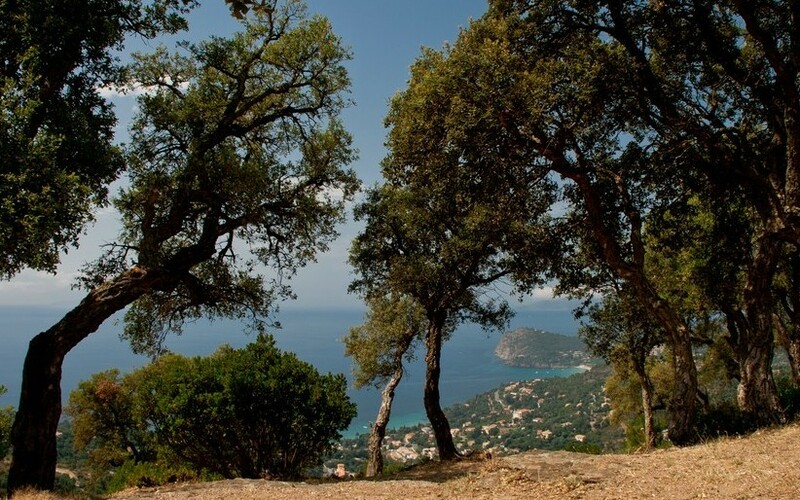 A second day of holiday choices, if you chose to take up the exploring options on your day in Le Lavandou then this could be a day for real relaxation. 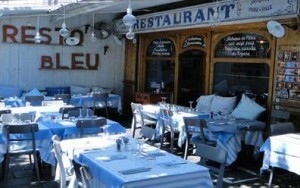 Sainte Maxime is one of the slightly quieter resort towns of the Riviera, a popular holiday retreat for the wealthy in the 1930s and relatively unspoilt since then, there are choices of beaches and a lovely evening atmosphere. Of course, if you want just a little more glamour and some more serious people watching then, you can always hop onto the little ferryboat back over to St Tropez. breakfast is included at each of your accommodation venues on the tour. That means that even if you take it in a leisurely fashion, you will have enough fuel onboard to start each ride or, head out on one of the optional exploring days of the tour. On each of the cycling days, lunches are included, either gathered up near the beginning of the ride or planned at a local hostelry (and if you are on the Fully Guided Tour, there will be one day when you will just come upon a picnic laid out for you around a corner on the journey). On your exploring days we will give you suggestions on where lunch can easily be tracked down, whatever your plan for the day. On this tour, we leave the evening meal venues with you; there are options to eat in at your accommodation and, on most evenings, you will be in a small town where there is plenty of choice from traditional Provencale, to Italian influence or the bounties of the adjacent sea. We normally recommend that customers undertake this tour in any of the following months in our cycling season; May, June, July, August, September or October - August in Provence can be a little warm for some cyclists but, we can help you plan your days and routes to make best use of the cooler hours, shady lunchtime rests and, we often provide additional support to ensure you can still enjoy your cycling experience - just contact us to check on availability. Our standard prices for this tour, whether Fully Guided or Self-guided, are best achieved when we have as much advance booking time as possible (we would still try to match the price even on last minute bookings but, accommodation is normally the largest component in a tour price and, the one which can vary the most). 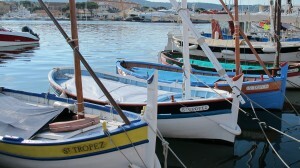 This Tour starts and finishes in Saint-Raphaël, which is easily accessible by train, plane and automobile. Because there are so many options we do not book this part of your trip for you, however we can guide you through the multitude of options. 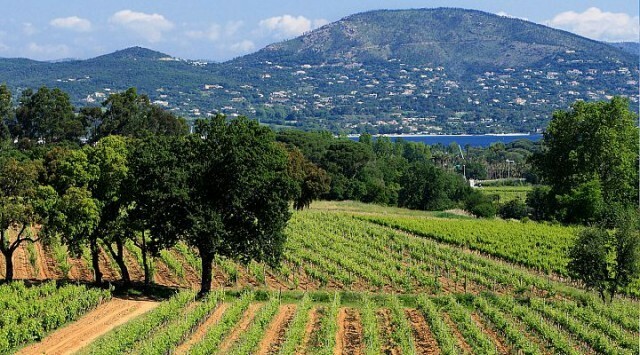 • If you like a longer holiday you can combine our Provence coastal Tour with the Hidden Provence Tour for a 15 night trip. It’s our Hilltop to Harbours Tour. The linking of these 2 Tours would raise the level to adventurous, however if you wish to avoid the steeper hills we can offer you a taxi/van transfer to avoid this with your 2 extra linking nights by the coast. Please call to discuss further the options. • We think Bed by the Med is ideal for families, you get to stay 2 nights in 2 different locations, by fabulous beaches, and most of our selected accommodation stops have swimming pools (opening periods will vary). Call us to discuss the different cycle options (tag along, child bike etc) available to children. • A partner, spouse or friend who doesn’t share your love of cycling. On any of our Fully Guided Tours, a non-cycling person can get a lift with the support vehicle from location to location. Again Bed by the Med is a good one as there are 2 days where you can choose not to cycle so you can further explore the delights of Provence together with your non-cycling companion.